Excellent Ribbon looking Start button will now hang on your Microsoft Windows 7 desktop from the top corner. Do not forget to set the taskbar to top. The set include both Microsoft Windows 7 looking flag and Apple’s bitten apple logo. This Article Has Been Shared 1583 Times! Very nice and elegant Windows 7 Start Orb. 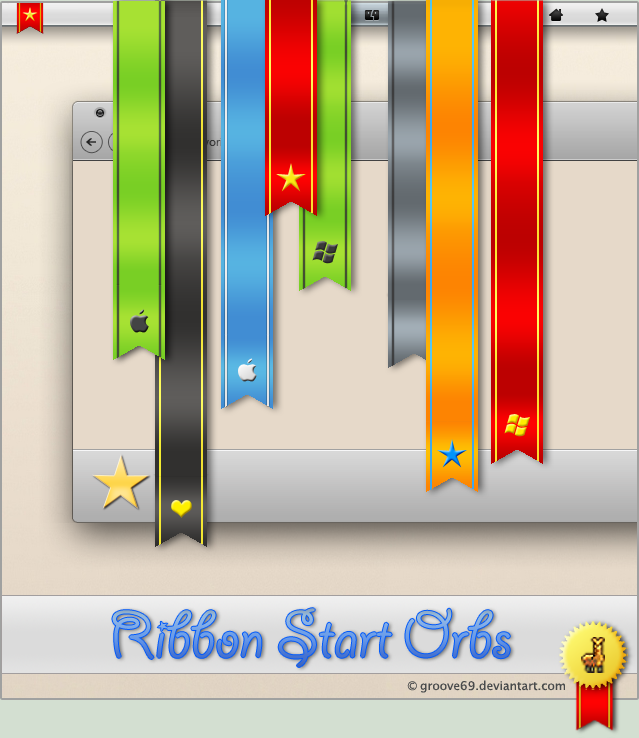 Cite this article as: Abhishek Ghosh, "Ribbon Start Button for Windows 7," in The Customize Windows, January 1, 2011, April 19, 2019, https://thecustomizewindows.com/2011/01/ribbon-start-button-for-windows-7/.